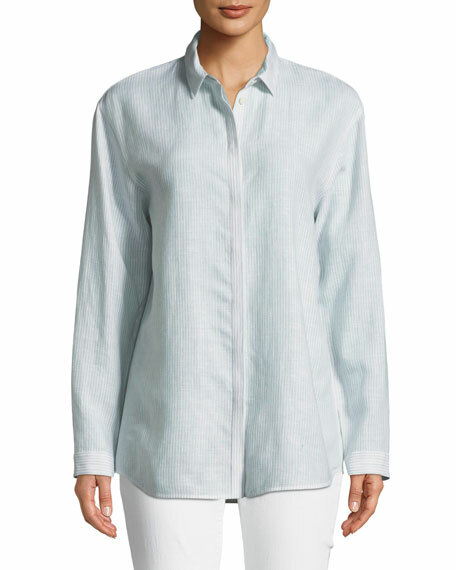 Lafayette 148 New York "Sabira" blouse in Virtuous striped linen. Approx. length: 28"L down center front, 30"L down center back. Inverted box pleat at back. 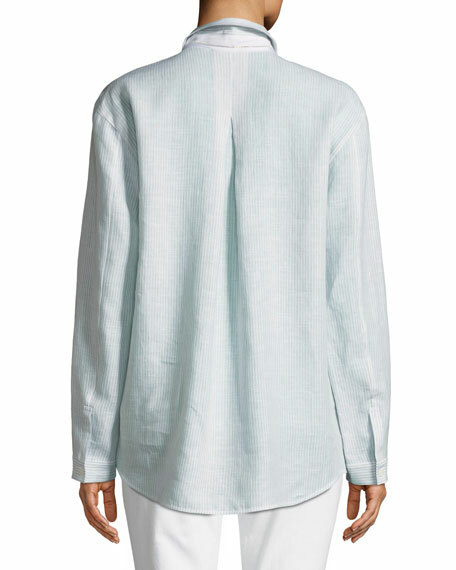 Shirttail hem hits at low hip. 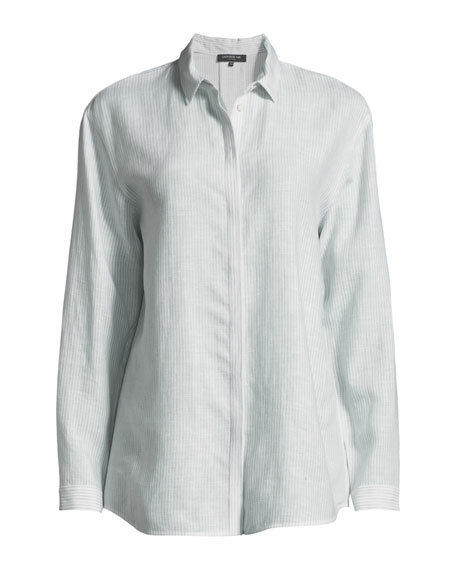 For in-store inquiries, use sku #2460911.